A criminal record isn’t the only concern you have if you have been arrested for DUI in Fort Lauderdale. You can pretty much bet that upon conviction, your auto insurance rates are going to spike. 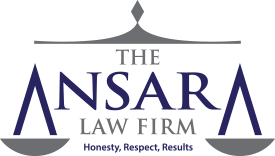 The Fort Lauderdale criminal defense attorneys at The Ansara Law Firm are committed to helping you minimize the financial impact of a DUI arrest, and that includes helping you avoid conviction or pleading to a lesser charge so that you aren’t plagued by sky-high auto insurance rates. Florida law requires a minimum amount of $10,000 in personal injury protection coverage and $10,000 in property damage liability for anyone who has a Florida driver’s license. Because Florida is a “no-fault” state when it comes to auto insurance, these PIP benefits are expected to cover your own damages in the event you are hurt in a crash, in theory making it less likely that you will need to take a claim for damages to court. The state does not require drivers to carry bodily injury liability, though it’s typically advisable because otherwise, you could be held personally liable to pay the costs out-of-pocket if someone is injured due to your alleged negligence behind the wheel. Florida’s Financial Responsibility Law does require that you attest to being able to cover up to $10,000 per person and $20,000 per crash in bodily injury liability damages. That’s why most standard policies come with at least this amount. Similarly, uninsured/ underinsured motorist insurance is not required, but it’s recommended. Your UM/UIM coverage must match that of your bodily injury liability insurance. But of course all of this costs money. And you may already know this, but Florida has one of the highest auto insurance rates in the country, with recent estimates calculating an average annual cost of $1,700. After a DUI, the cost of auto insurance can double or even triple. The reason your auto insurance rates go up after a DUI is because, by the auto insurance company’s gauging of the risk, you are more likely to be involved in a crash. This increased level of risk will be reflected in your premium. If there is a higher likelihood you will cause the insurer to pay out, they are going to charge you more for it. A DUI conviction can affect your auto insurance rates anywhere from a year to five years down the road. Accidents wherein you were uninsured. Typically the fee for this is $25. These forms replace the SR-22 forms, and are more stringent in their insurance requirements for higher liability limits. These forms require liability limits equal to 100/300/50 ($100,000 of bodily injury liability per individual hurt in an accident, $300,000 total available per crash and $50,000 in property damage). An FR-44 form submitted to your insurer is what immediately informs them you have been found guilty of a DUI. This is what triggers a premium increase. In some cases, your insurer may actually drop you as a result of the DUI. This could mean you will lose your coverage. If you need to find new insurance in this scenario, you will find it both difficult and expensive. Still, if you want any chance of getting your license reinstated, having that FR-44 form completed by your insurer will be a prerequisite. The Ansara Law Firm has extensive experience handling DUI cases and we can put that experience to work for you. We recognize the expense of insurance coverage after DUI is astronomical. Our dedicated Fort Lauderdale DUI attorneys will work to help you avoid it.